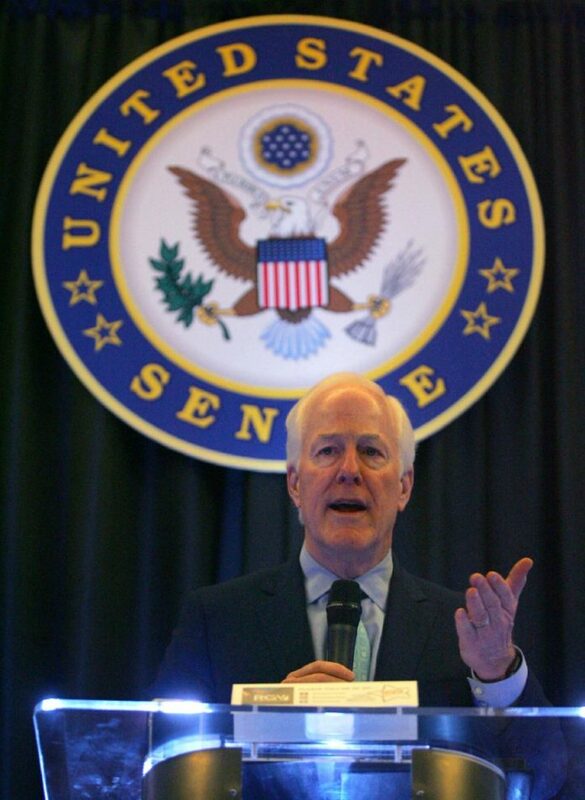 As federal lawmakers try to resolve the ongoing government shutdown, U.S. Sen. John Cornyn will visit the Rio Grande Valley on Tuesday to announce new legislation and meet with students and superintendents about federal grants for college and career readiness. The program was created to provide comprehensive services, such as professional development for instructors and counselors, improving the quality of secondary school courses, mentoring and tutoring. Cornyn will tout his new bill to improve the program at the Harlingen School of Health Professionals. “Texas students have benefited from $885 million in GEAR UP grants in the past 20 years,” Cornyn said in a statement. On Tuesday, Cornyn will first meet with students and graduates before holding a roundtable featuring a GEAR UP administrator, Harlingen Mayor Chris Boswell, University of Texas Rio Grande Valley President Guy Bailey, five Rio Grande Valley superintendents and a few other officials. Cornyn will then hold a press conference. After two Valley visits in 2018, this Harlingen trip will mark Cornyn’s second South Texas trip of 2019 — the senator flew to McAllen on Air Force One earlier this month with President Trump to tour what Trump called a “humanitarian and national security crisis on the border.” Trump, Cornyn and U.S. Sen. Ted Cruz, R-TX, heard from federal law enforcement at the U.S. Border Patrol station in McAllen about the challenges of enforcing law on the border. During that discussion, there were a handful of local officials on hand. Cornyn tried to recognize those officials by asking them to stand up and receive a round of applause from the room, including Trump. After the border tour, Cornyn and Cruz hosted a roundtable discussion with a wide variety of South Texas officials.